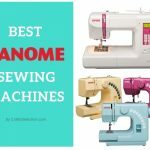 How to Choose Best Machine Embroidery Threads? Embroidery is a beautiful piece of art that can be perfectly accomplished by employing appropriate threads in a perfect range of colors. So it is quite a significant task to decide which machine embroidery thread to use. 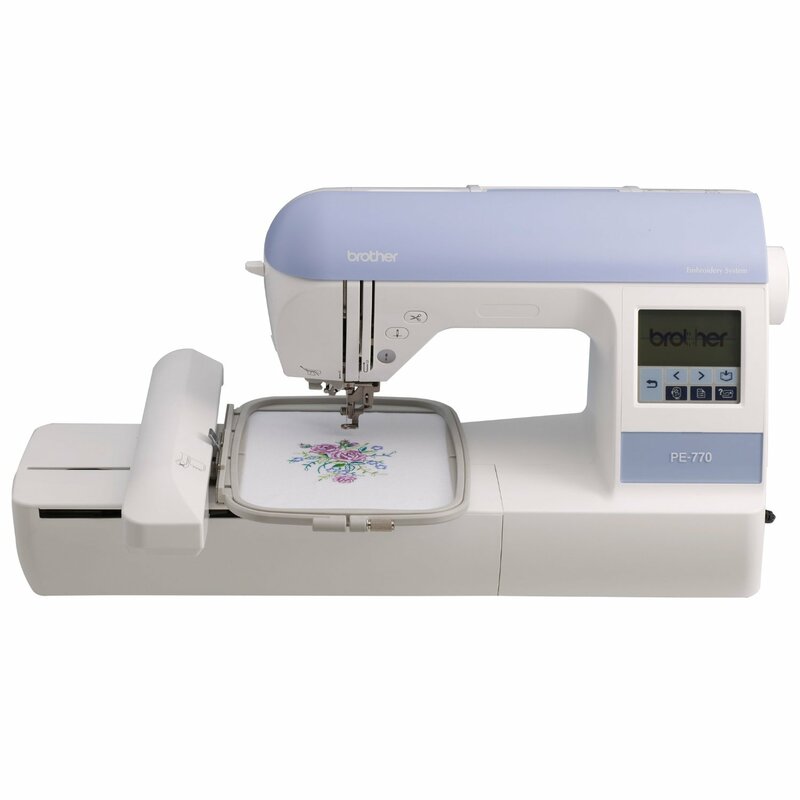 The Embroidex polyester embroidery machine thread is one of a kind with its unique set of features. The threads that you get along with it are of the same color as that of the Brother embroidery threads. This embroidery thread gives good customer satisfaction as it works perfectly with various embroidery projects and matches the chart exactly with the one that is provided with the embroidery machine. 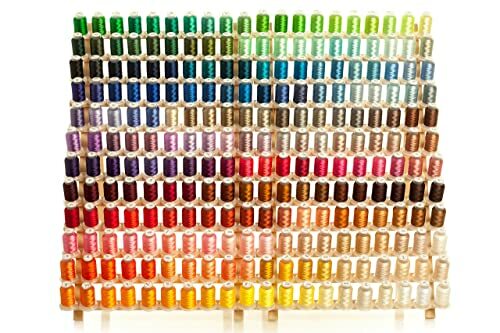 This Embroidex thread facilitates any embroidery project as this set of threads contains every color stored on the machine patterns. Hence, the brilliance of this product can be explained under the variety of the set that provides a good array of colors. These come in bright and clear colors that do not break or fade easily, and can be counted as an added benefit on this product. Another important benefit is the fact that given the quality of the commodity, it also comes at an affordable price making your choice an economical one. This makes this product a good buy and seeks adequate popularity among the consumers for its added feature of warranty along with it. 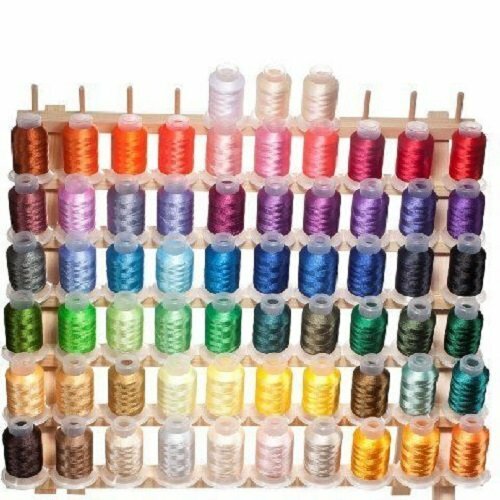 63 Brother Color’s embroidery machine thread is also a good buy containing sixty-three different spools. The threads come in beautiful colors that show similar occurrences as the Brother colors. The product has obtained a good name in the market with satisfactory customer reviews who have reported its stitching abilities as far superior to other expensive threads. It has also obtained sufficient appreciation for its tensile strength and is reported to break only after hours of stitching exercise. Other factors like timely shipping and well packaged makes this item a popular buy among consumers. However, there are some noted disadvantages too. It contains no locking base that makes the efficiency of work slightly sloppy. Also, this one is not equipped with a color chart, instead the numbers are written on each spool like a sticker that makes the work process a little clumsy. But the good thing is these shortcomings are not so difficult to fix. The threading problem can be resolved easily for it is not a very big deal not to possess a locking base. Locking bases on threads can cause to shred them, and this can lead to tearing or breaking of the threads. To fix this issue a scotch tape can be used which also facilitates the proper storage of the spool without getting tangled. The problem with numbers can be easily solved by taking out time to peel it off properly and then place them inside the spool. This will help in comprehending the correspondence of the numbers with the Brother polyester threads. The issue regarding the color chart is the easiest to repair. All one needs to do is visit the Brother’s website, and get a print out for the sewing cabinet. The manufacturer of the product is Embroidex, and its origin is in China. It has a total product weight of 2.9 pounds. The configurations of the item are 12*8.8*2.5 inches in dimensions. Embroidex polyester mega kit is one that is provided with 260 spools and each spool contains 550 yards. One of its compelling features is its wide range of inclusions of 260 different colors. The issues generally occurring with this item include the unavailability of a color or conversion chart that makes the task a little inconvenient. However, the colors provided are known to be vibrant and beautiful, and the polyester is very strong that facilitates the needs of the consumer. The spools are not very large but made of clear plastic. There is no place to hold the ends of the loose threads, however; there are few incidences of thread breakage. Customer satisfaction is good with regard to timely delivery and packaging of the product. See also: How to Use Metallic Embroidery Thread? While choosing embroidery threads, it is important to learn about two most basic characteristics, its weight and type. The higher the thread weight, the finer the design and vice-versa. There are various types of threads available including rayon, silk, polyester, cotton and more. Rayon threads are more delicate to deal with and come in wonderful bright colors, and also known to contain good handloom quality work. Whereas, polyester threads are known to be stronger and used mostly for purposes like on sports uniforms, work uniforms, for daily use. 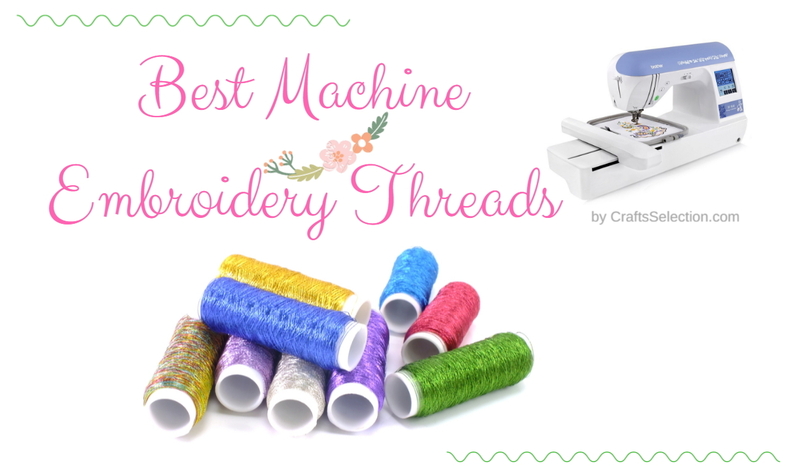 To help you find the right threads for your embroidery projects, especially when you are a beginner and looking for affordable threads, we have presented a list of some of the best machine embroidery threads that you can choose from. 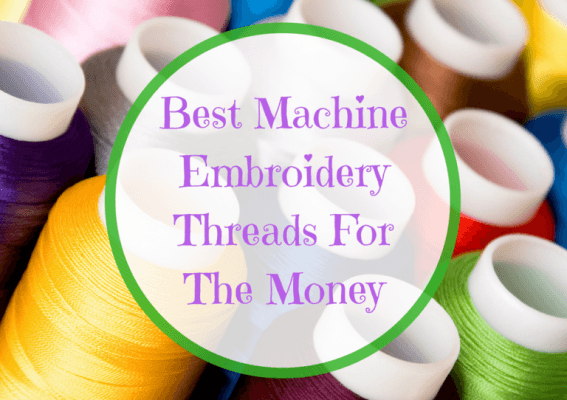 The products mentioned above are some of the best inexpensive machine threads that you can purchase, with a range of colors and features that make each of the items described quite unique. Choosing the correct thread is not an easy task, and then implementing it correctly is even more difficult. 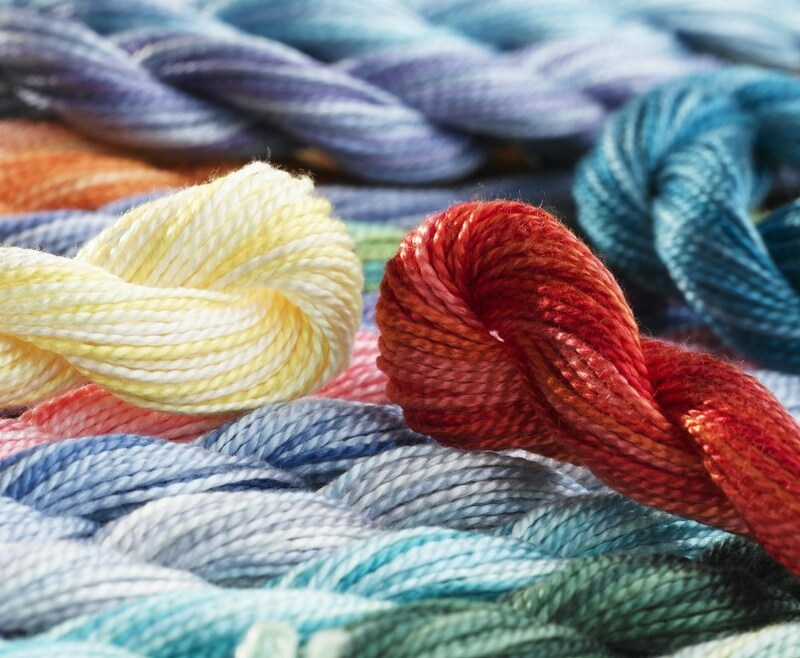 A good thread machine ensures good experimentation with threads and color patterns. 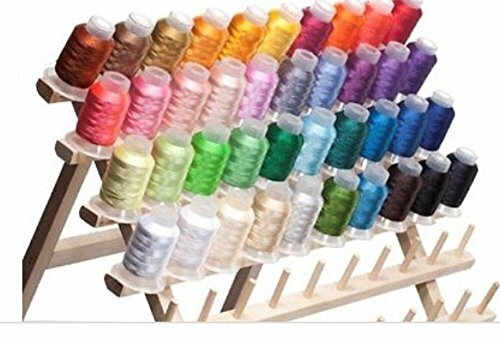 Hence, it is important to learn about the features of different embroidery threads, along with the availability of its range of colors, and its delivery system. How To Use Metallic Embroidery Thread?